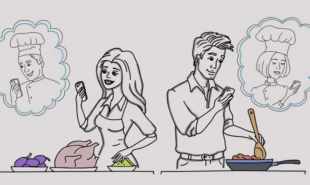 Everybody has a friend or family member they turn to for cooking advice, but now a new platform called Talk to Chef wants to help enthusiastic home cooks get their tips from the professionals. 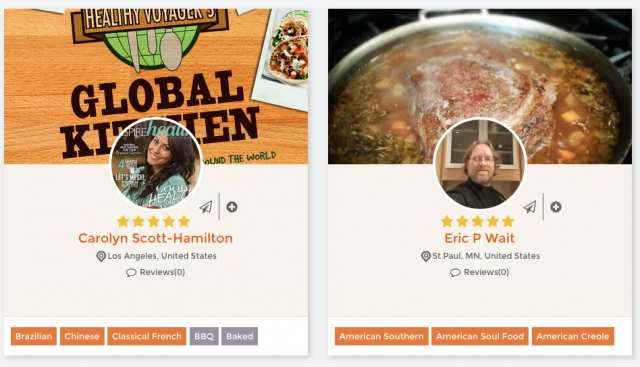 The site connects users with a network of helpful chefs via skype-like video calls, so they can receieve culinary advice while they are cooking. Talk to Chef is a micro-consultancy platform which enables people to ask culinary questions and receive immediate responses from a network of professional cooks. To begin, users download the free app or visit the website and create a profile. Next, they press the hotline button and search the database of available chefs by cuisine type, cooking method or diet. When they have found someone they like the look of they initiate a two-way video chat and pose their question. Once the session is over, users rate their experience and make a voluntary donation to the chef. Talk to Chef is currently in Beta and welcoming both foodies and chefs as well as potential affiliates — such as food bloggers or restaurants who want to add the Talk to Chef widget to their site in return for a ten percent cut of consultations which come through their page. Talk To Chef retain approximately 15 percent of each transaction. Are there other craft industries which could use a similar platform?